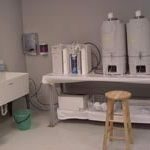 Fort Environmental Laboratories’ toxicological testing facilities have over 5,200 square feet laboratory space designed specifically for amphibian, reptilian and fish studies. 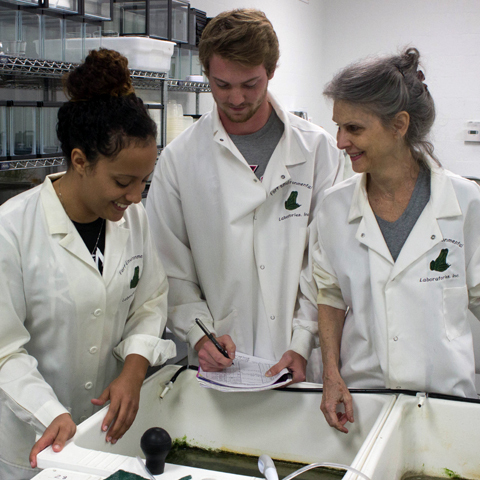 The culture lab maintains viable culture of aquatic (Xenopus and Silurana) and terrestrial amphibians. 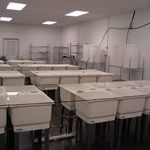 The lab is designated for the culture of adult and larval Xenopus maintaining over 100 breeding pair of adult frogs. 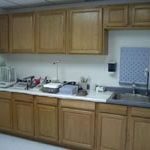 We also maintain separate cultures of turtles, native amphibian species, fathead minnow, zebrafish, medaka, aquatic and terrestrial plants, and aquatic macroinvertebrates. 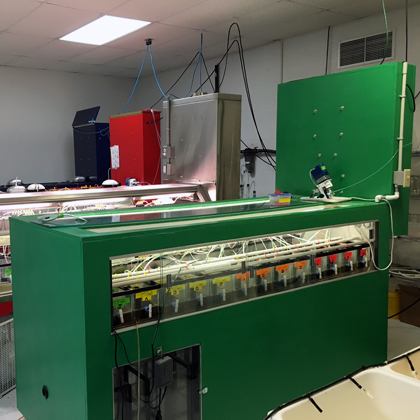 In the exposure laboratory, Fort Environmental Laboratories maintains 5 continuous flow, flow-proportional diluters to conduct a variety of studies including EDSP ecotoxicity assays, other assays involving exposure to pure chemicals, hydroponics tests with plants, and tests of environmental mixtures including sediments. 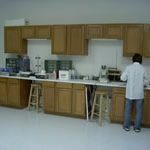 In addition to traditional toxicology laboratory equipment, Fort Environment Laboratories also has molecular biology, histopathology, microscopes and chemistry equipment. Fort Environmental Laboratories has won several awards including the Oklahoma Center for Science & Technology (OCAST) Research Excellence Award in 2001 and 2004, the 2002 National Tibbett’s Award for Excellence in Small Business Innovative Research, the 2002 Bernsen Foundation Award for Most Promising New Business in Oklahoma, and the 2003 Oklahoma Investment Forum’s Most Promising New Technology Business.